Posted 8:27 pm by Serata Italiana & filed under Latest News, Media Releases, Sponsors. 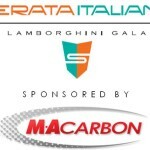 COSTA MESA, CA – May 6, 2013 – Lamborghini Club America is pleased to announce MAcarbon as an official sponsor of Serata Italiana “Ignite Your Senses” Lamborghini gala held Saturday, August 17, 2013. MAcarbon products are made to the highest standards in North America and Europe for discerning luxury and sports car enthusiasts. All of their parts are made by MAcarbon in their own facilities and they do not source their products from other manufacturers. They use only top quality materials to create parts that will continue to provide their customers with pleasure when most other company’s parts have turned green, clouded or cracked. With MAcarbon, you really get what you pay for. Contact MAcarbon today for carbon products for your vehicle! Email: sales@macarbon.com or Phone: 650.489.4415. MAcarbon is a premium quality manufacturer of carbon fiber products for high end and exotic automobiles. 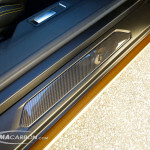 MAcarbon creates carbon fiber products for Porsche, Ferrari, Lamborghini, Bentley, Audi, Mercedes, etc. To view their products visit their website, www.MAcarbon.com.